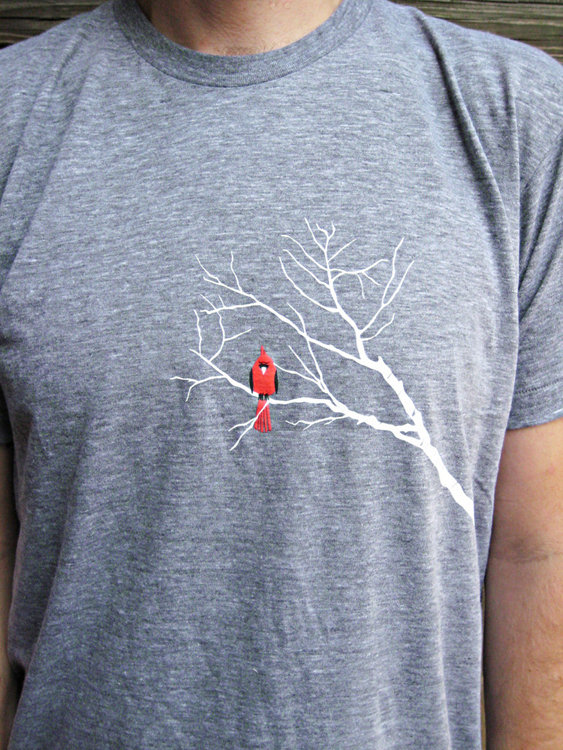 Our ode to the amazingly beautiful and vibrant North American bird, the Cardinal, in tshirt form. We love seeing our friendly feathered friends, the Cardinals, taking harbor in the neighboring birch trees from our window all year long. It feels like living in a tree house. 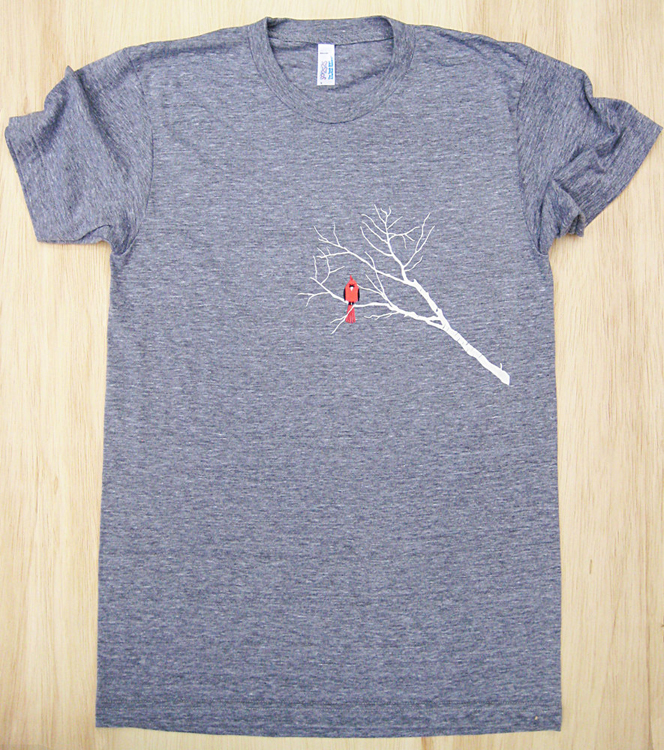 Hand printed onto our favoritest tees, the unisex Adult-sized Tri-Blend Track Shirt 50/25/25 by American Apparel. 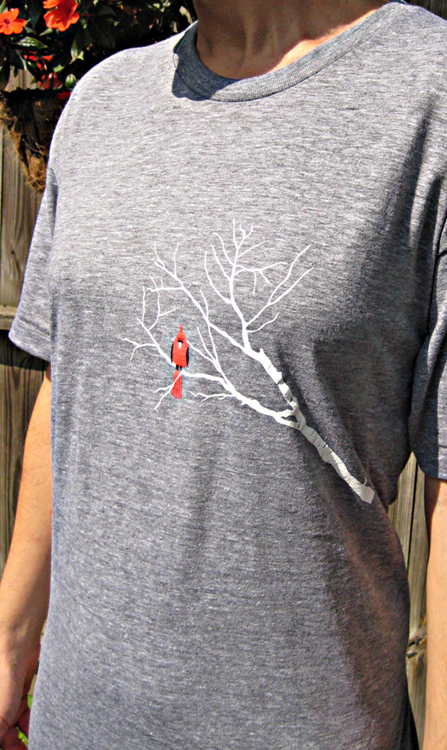 Printed on a lovely heather grey tee.